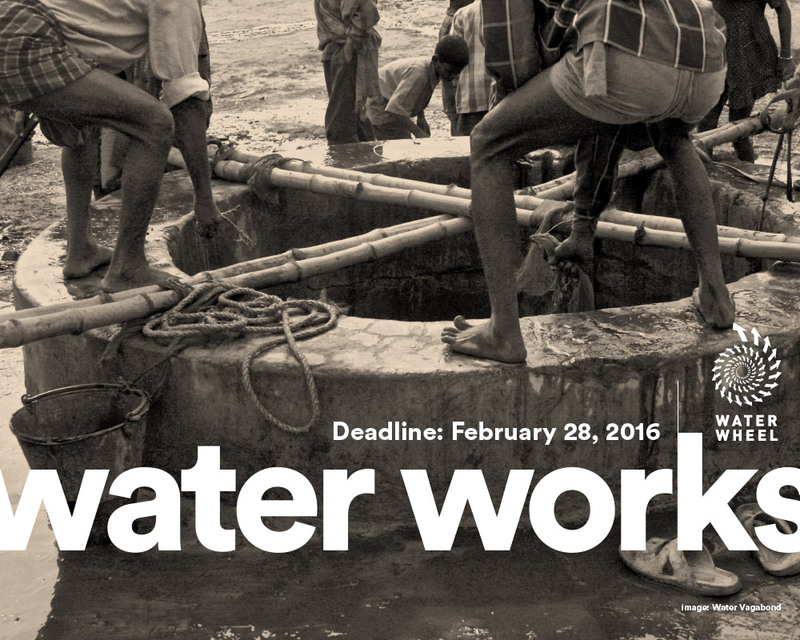 Are your projects or artworks linked to water? Have you always wanted to do something on Waterwheel but never had time? Celebrate this final large event organised by the current Waterwheel team of Suzon Fuks, Inkahoots, and Igneous. Following a quick turn around and selection process, a fantastic group of curators will discuss contributions, and respond to the online audience, in a streaming event on the Waterwheel video-collaboration system, the Tap, on 19/20 March 2016 . Climate change, financial crises, war, and global environmental damage, have all put pressures on water forcing it to “work” as commodity, capital and resource for growing and shifting human populations.While non-human species and natural processes such as coral reefs, wetlands and beavers “work”in the maintenance and transformation of water, there are also the “works”created by the passing actions of floods, tides and storms. How can art, science, design, and activism reinstate the social, cultural and environmental value of water? How can we give recognition to the indispensable and invaluable ways that water works? NOTE: if you need to change info details or upload a new version of the file, once logged in you go to Media Centre > My Media > click on the little pencil at bottom right (next to the cross), and you can edit. At the end, SAVE!